Once you have become familiar with the Tarot Cards themselves and a few of the layouts / spreads that are available, its time to find your own Tarot Spread and your own unique way of working. Its how the symbols speak to you and how you interpret them that matters and this comes with practice. For myself, every time I work with the cards they give me a bit more information, or I see something in a different light and learn a little extra about their symbolism. When I started out reading Tarot I adhered very rigidly to the rules. 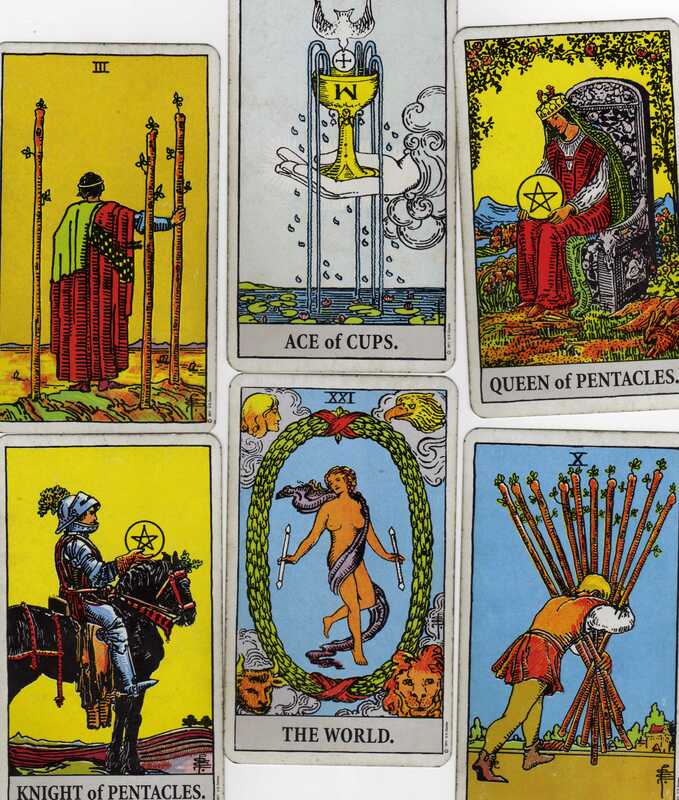 I have been made aware of two differnt methods of Tarot Reading lately: One method uses no set spreads at all and the other has a methodical, almost mathematical way of determining the meaning of the cards. For myself, I need a middle way between these two extremes – a defined meaning for each card and a few set ways of laying them out. With a great deal of room to improvise and grow in between. With practice, you will gain the confidence to experiment with different Tarot Spreads and determine your own unique way of working with the cards.